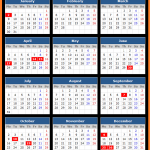 Check Public Holidays in Fiji for the calendar year 2017. Fiji Government has approved the public holidays for 2017 through a Gazette Notice No. 68. 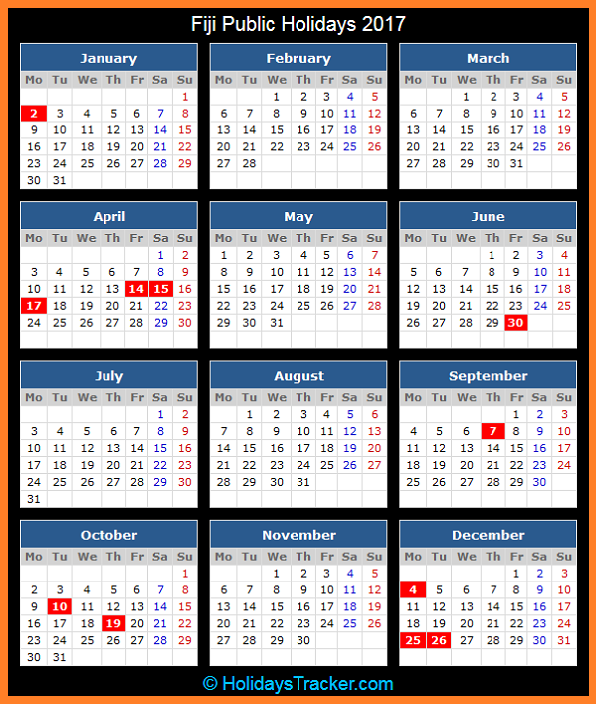 Check holidays dates in 2017 for New Year’s Day, Good Friday, Easter Saturday, Easter Monday, National Sports and Wellness Day, Constitution Day, Fiji Day, Diwali, Prophet Mohammed’s Birthday and Christmas.